Repainting the interior of a water tower is just as important – if not more important – than tackling the outside. 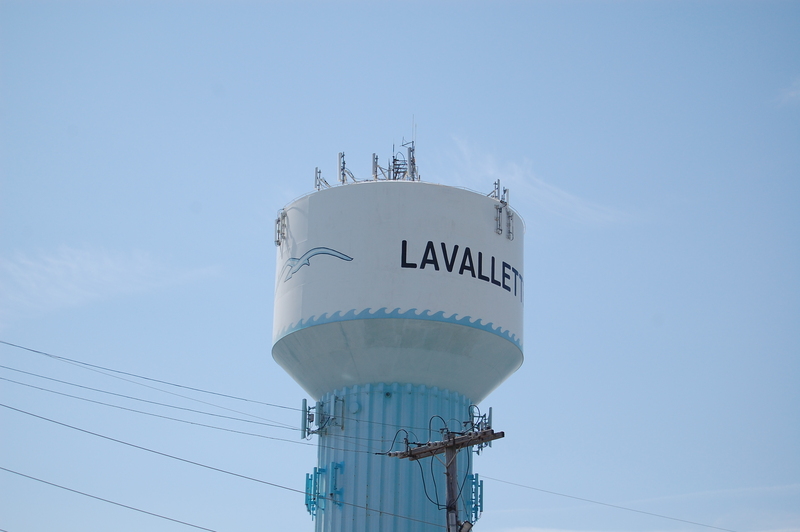 In Lavallette, where bids are currently being sought to do a complete interior and exterior repainting for the 500,000 gallon tank, engineers have recommended the project be split into two phases. Borough Administrator John O. Bennett said at a council meeting Monday night that one of the two phases of painting will be completed in the spring. After that phase is completed, the tank will be re-filled for the summer season. Once summer is over, the tank will be drained again so the other portion can be completed. Bennett said it has not yet been determined which portion of the tank will be repainted first. Lavallette operates its own water and sewerage authority for the major of the community (a portion is served by the Toms River Municipal Utilities Authority), but the borough maintains an interconnect with New Jersey American Water Company, which provides water to the majority of the island. Bennett said the tank is mainly used when water being produced by the borough’s wells is not enough to meet demand. Then, he said, water from the tank is released to keep up water pressure. During the project, water from New Jersey American may be needed to keep up with the demand since the tank is not available, said Bennett. “They expect to use that tower for the summer season, and then it will go down again,” Bennett said. The fall phase of the project will take about one month, compared to two months for the spring phase. The borough on Monday night allocated $1,352,250 for the project. Because Lavallette is in a unique position of having to pay for a water system to meet unusually-high peaks during the summer season, the state’s Environmental Infrastructure Trust may provide assistance with the project. Under their program, Lavallette would borrow the cost of of the work, a portion of which would be forgiven once completed. Bennett said the goal to approve a bid is March 1.